Pectinate from Thorne Research contains patented ph-modified citrus pectin which may be particularly effective at supporting detoxification when compared to other pectins and dietary fibers. May also help balance cholesterol levels within a normal range. Soluble fiber, like pectin, can be a very useful dietary tool for supporting everything from digestion to cholesterol balance and detoxification. However it is important to find pectin of high quality which has been extensively tested for efficacy. 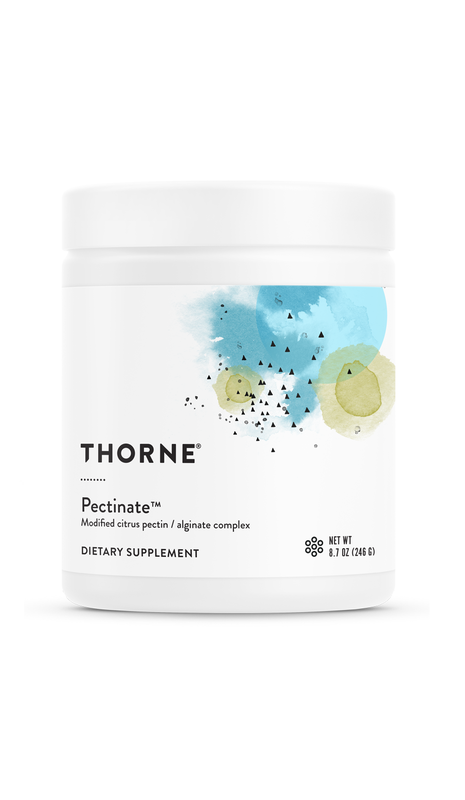 Pectinate® from Thorne Research contains patented ph-modified citrus pectin which may be particularly effective at supporting detoxification when compared to other pectins and dietary fibers. 3 g of high quality ph-modified citrus pectin per serving. 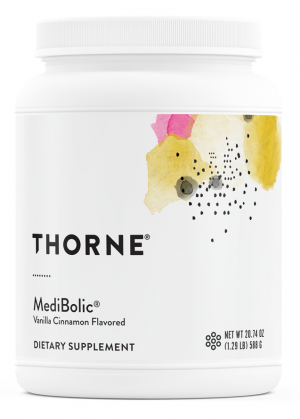 May aid in digestion, metabolism, detoxification, and even healthy cholesterol levels already within a standard range. Perhaps the most powerful and tested soluble fiber supplement on the market. 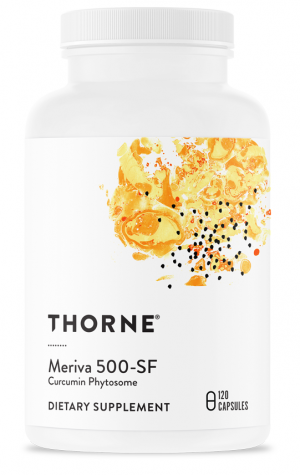 Also includes R-lipoic Acid for further antioxidant and detox support. Pectin is a name for soluble dietary fibers which are contained in fruits. As such, there are numerous varieties of pectin derived from different types of fruit, the most popular of which are citrus and apple. While there is much debate about which of these pectin forms are superior, Thorne Research feels adamant that the patented and heavily tested form of ph-modified citrus pectin used in Pectinate® provides benefits which apple pectin is incapable of providing. As with all forms of soluble dietary fiber, the main nutritional benefits of citrus pectin are geared towards supporting healthy digestion and metabolism. However, it is less well known that pectin may also have nutritional benefits for detoxification and helping to maintain the balance of cholesterol levels already within a standard range. For all of theses reasons, many health experts contend that pectin is one of the most nutritiously valuable aspects of certain fruits. The role of pectin in supporting healthy cholesterol levels is fairly straightforward. All soluble fibers are thought to be capable of binding to LDL (or ‘bad’) cholesterol in the digestive tract, and escorting it out of the body via the excretory system. Interestingly enough, citrus pectin’s detoxification properties work very similarly. However, unlike other soluble fibers, and even other pectins, citrus pectin is thought to be particularly effective at attracting and binding to harmful heavy metals like lead, cadmium, and arsenic.1 These detoxification and liver health support properties are what set Thorne Research’s Pectinate® ahead of the rest! Other Ingredients: Citric Acid, Citrus Flavor, Monk Fruit concentrate (fruit) (Siraitia grosvenorii)†††, Stevia extract (leaf) (Rebaudioside A 95%), Medium Chain Triglyceride Oil, Riboflavin (color). †This product uses PectaSol-C® and Algimate®. PectaSol-C and Algimate are registered trademarks of ecoNugenics®. 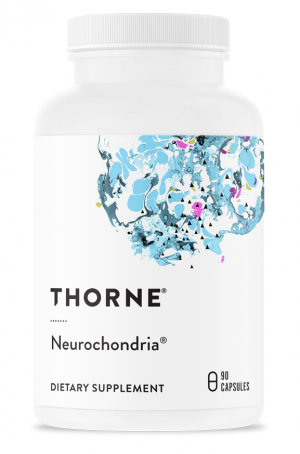 †† This product uses GeroNova Research’s Bio-Enhanced® R-Lipoic Acid. Bio-Enhanced is a registered trademark of GeroNova Research, Inc.
†††This product uses Tate and Lyle’s Purefruit Select™ (Monk Fruit concentrate). Purefruit Select is a trademark of Tate and Lyle Ingredients Americas, LLC. Take 1 to 2 scoops two times daily or as recommended by your health professional.